Unreal Lawns supply and install artificial grass in Halifax and the north west of England. We serve domestic and commercial customers in the area, with products suitable for a wide range of applications from outdoor spaces and gardens, to event areas, exhibition space and more. See below for some examples of projects we've carried out in the Halifax area. Unreal Lawns were called to a family’s garden in Halifax, Yorkshire to help them make their outdoor space more usable ready for the summer. 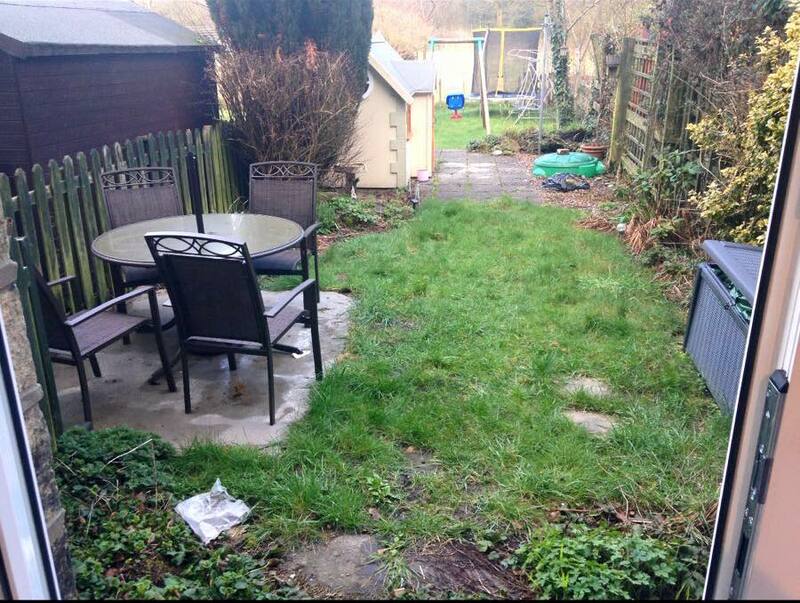 The previous garden had great potential, but had been left neglected and unused. After installing our Supreme 38mm artificial grass, the garden looks a lot bigger and tidier, providing a beautiful and child-friendly space for the family to spend time in. It’s this kind of job that just goes to show the difference artificial grass can make to a garden. 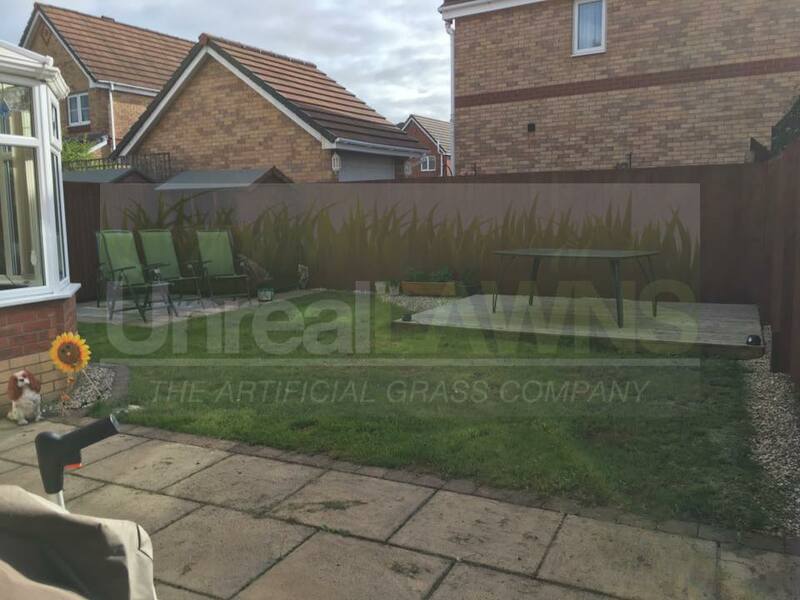 Unreal Lawns were contacted by a customer in Halifax who wanted to replace their lawn with artificial grass. The previous lawn had become muddy and patchy from heavy use by the dogs. We installed our artificial grass to replace this, providing a neat and green space that would remain mud free no matter what the weather. The customer was delighted with the work, and pleased that they could use the garden all year round without having to worry about getting the mop out when the dogs came back into the house! 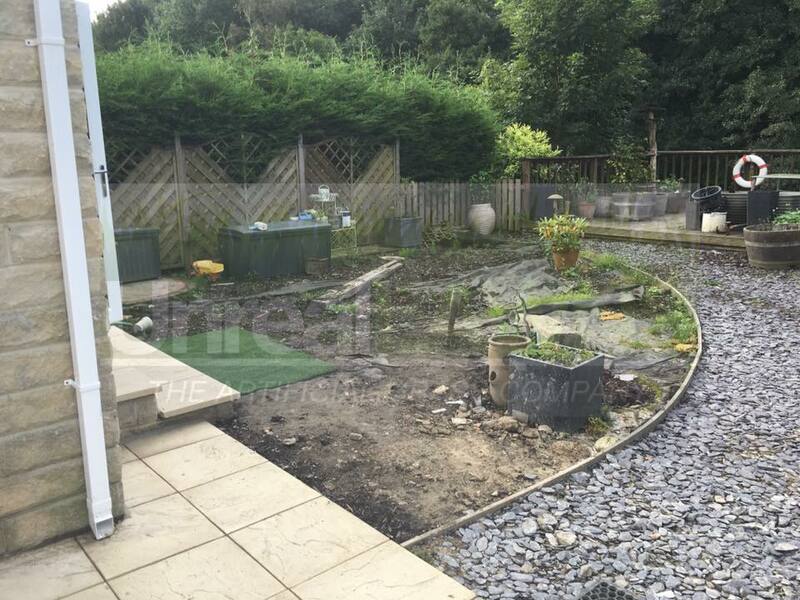 We were approached by a customer in Halifax, Yorkshire who wanted to achieve a more low maintenance garden that took up less of their time to maintain. Artificial grass provides the perfect solution to this. Using our Supreme 38mm artificial grass, we transformed the garden’s lawn. It is now lush and green all year round, and needs no mowing or maintenance. As you can probably guess, the customer was over the moon with their new lawn.